At the Grand Royale London, we know our city is home to some incredible architecture. It spans across centuries, showing how styles have changed over the years. However, not only is London home to some beautiful buildings, the River Thames cutting through the city means it also has some incredible architectural gems in the form of bridges. 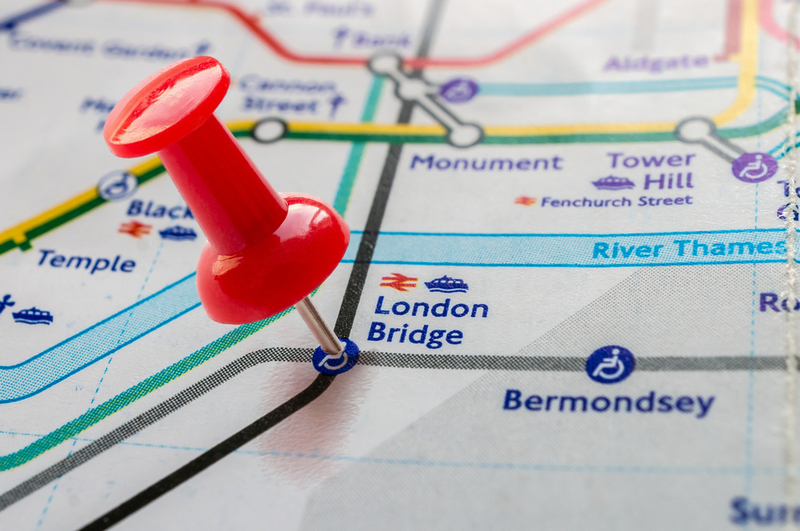 From Tower Bridge to Vauxhall Bridge, here is the history behind London’s most iconic bridges. The name ‘London Bridge’ has been given to several different bridges crossing over the Thames from the City of London to Southwark. 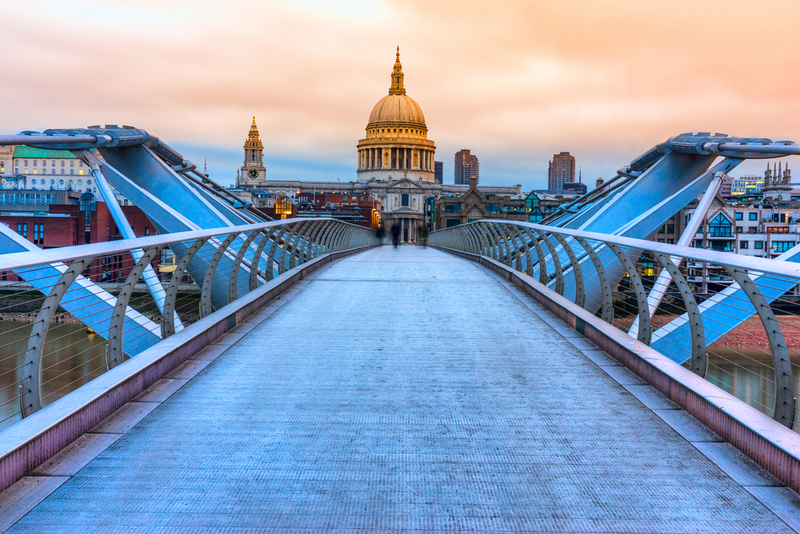 The first bridge is thought to have been built by London’s Roman founders. This was then replaced by a medieval structure which stood for around 600 years before being replaced by a stone arched bridge in the 19th century. When this bridge began to sink and became unsafe, it was replaced by the contemporary London Bridge we know today. The current London Bridge, standing in the same place as the previous one, was designed by renowned architect Lord Holford and engineers Mott, Hay, and Anderson. It was officially opened by Queen Elizabeth II in 1973. As a box girder structure made from concrete and steel, it certainly isn’t London’s prettiest bridge, but due to its central location and heavy commuter traffic it’s often featured in films and on the news. Most interesting fact: In 2009, a flock of sheep was ushered along London Bridge as part of an ‘ancient right’ – which was quite a sight for tourists at the time! As the name suggests, the Millennium Bridge was built to commemorate the turn of the millennium in the early 2000s. It is a footbridge with a unique design. Abstract sculptor Sir Anthony Caro designed the bridge in conjunction with two engineering firms. The design was created for a design competition held by Southwark Council in the late 1990s, and theirs was selected as the winning entry. It is a steel suspension bridge, with eight suspension cables tensioned to pull with a force of 2,000 tons so the structure is strong enough to support a working load of 5,000 people on the bridge at one time. The bridge connects Bankside with the City of London, and officially opened for the first time in 2000. However, it quickly had to be closed again as pedestrians experienced an unexpected swaying motion as they tried to cross the bridge. It was closed again for almost two years as modifications to the structure took place. Most interesting fact: Millennium Bridge has featured in two blockbuster films in recent times – Harry Potter and the Half Blood Prince, and Guardians of the Galaxy. Its appearance in Harry Potter is particularly noteworthy as the scene is set in 1996, two years before construction of the bridge even began. Arguably Britain’s most famous bridge and one of London’s most iconic symbols, this list wouldn’t be complete without mention of Tower Bridge. In the latter part of the 19th century, authorities identified the need for a bridge across the Thames in this particular area, but a street level bridge wasn’t viable as it would cut off the access needed by sailing ships. A committee was formed, the Special Bridge or Subway Committee, which opened the design up to a public competition. Over 50 designs were submitted, an impressive number in a time before the internet, but none of the submissions were suitable. In 1884, the decision to build a bascule bridge was made, and construction began two years later. Tower Bridge is in the Gothic style, and has a complicated design. It is actually two bridges tied together by the upper level walkways. These are designed to withstand the tension forces exerted by the suspended part of the bridge. It took eight years and five contractors to complete the construction, and the structure is now over 122 years old, having been officially opened in 1894. Anyone is free to cross either by vehicle or on foot, but the towers, impressive high-level walkways, and Victorian engine rooms form part of the Tower Bridge Exhibition, and visitors have to pay to get in. Most interesting fact: In 1952, bus driver Albert Gunter was given £10 – the equivalent of £260 in today’s terms – for an act of bravery during an incident on the bridge. In December of 1952, the warning bell system on the bridge failed while a relief watchman was in charge – Gunter’s double decker bus was crossing at the time. As the bus began to rise he made the decision to hit the accelerator, clearing the 3ft gap, dropping 6ft onto the other side of the bridge, and avoiding any serious injuries. 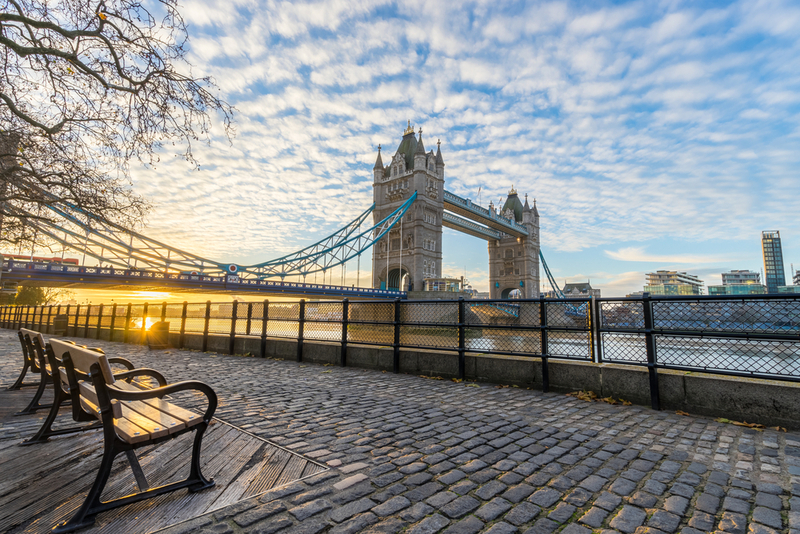 London is home to many more great bridges, and if you want to see these feats of engineering The Grand Royale London is perfectly situated to visit them for yourself. Find out more here. Share the post "The history of London’s bridges"